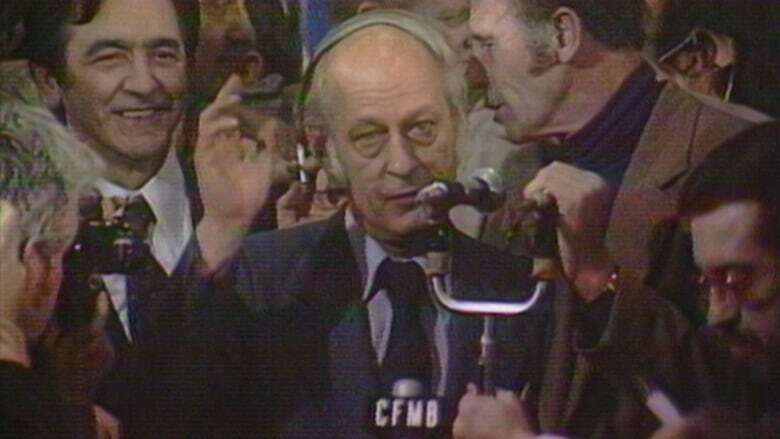 It was a historic win for René Lévesque and the Parti Québécois, when the party took a crushing majority of seats in the 1976 Quebec election. 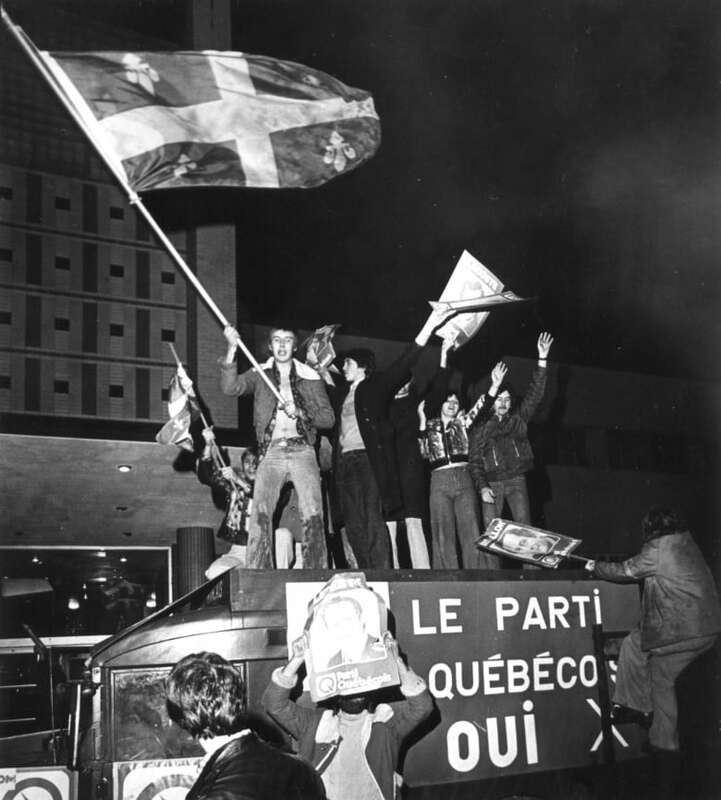 Forty-two years ago, Quebecers delivered a historic first-time win for René Lévesque and the Parti Québécois. When the final tally was done, the party had captured 71 of the 110 National Assembly seats, on Nov. 15, 1976. As can be heard in this excerpt from CBC Radio, it took some time for the premier-elect to be able to make himself heard above the jubilant crowd in the Paul Sauvé Arena in Montreal. "C'est difficile" — "it's difficult"— Lévesque said, as the crowd erupted in cheers and chants, at one point chanting "Le Québec aux Québécois" — or "Quebec for Quebecers," when translated in English. In his opening remarks, Lévesque told the delirious crowd that he never thought he could be so proud to be Québécois. He thanked all those who had worked so hard for nearly 10 years, referencing the founding of the Mouvement Souveraineté-Association in 1967, which became the PQ the next year. And Lévesque promised that his government would fulfill all the promises made, in particular the creation of "le pays de Quebec" — a "country of Quebec." The win was a mandate to sweep the Liberal government and its alleged corruption scandals out, and the premier, Robert Bourassa, lost his own seat in the process. But it was also a mandate to hold a referendum on the subject of sovereignty for Quebec, and it was that campaign promise which created a stir across Canada when the results were in. The next day, CBC TV's Take 30 presented highlights of the news from the evening before, host Paul Soles reiterating what Lévesque had been heard to remark the evening before, that he did not expect this win at this time. "No one in the arena or in the rest of Canada was more stunned and amazed at the result ... than René Lévesque," Soles said. Lévesque was greeted with loud applause and cheering, when he told the party-faithful-filled stadium, in French, that "this country, Quebec, will be achieved only when an adult society ... has proved it by a referendum." A chastened Bourassa spoke to the media, saying that there were "a lot of reasons for this victory," asking "the economic milieu" to have a "calm reaction." Bryce Mackasey, who had left the federal Liberal party to run for the provincial Liberals in the Notre-Dame-de-Grâce riding, was one of 26 Liberals to win a seat. Calm and confident in his view that Canadians should not panic, Mackasey told reporters "the end of the world hasn't arrived" and said "we're a long ways from separating." 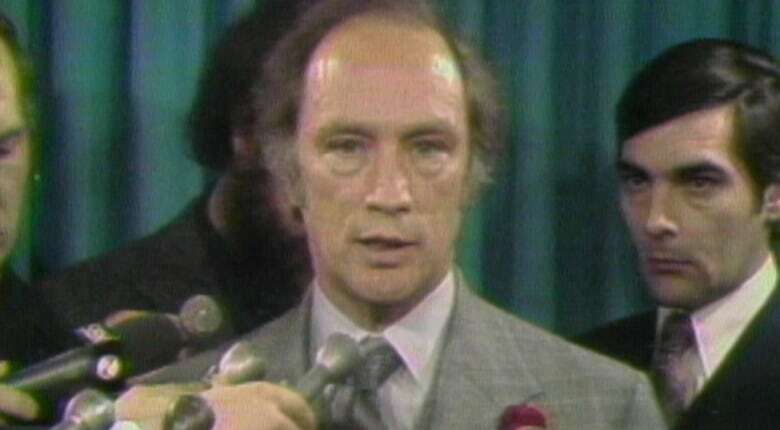 And the prime minister, Pierre Trudeau, expressed confidence that "Quebecers will continue to reject separatism." From 1993: Will the Bloc hold 'balance of power' in Ottawa?